The world has been enriched by love stories, sometimes tragic and sometimes ending in a happy note, poets have composed love ballads in memories of lovers whose names have been etched in the history of romance. They have become immortal. 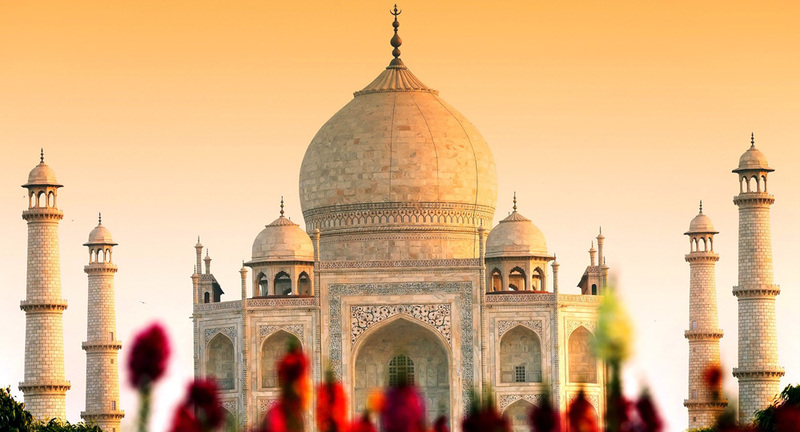 One such memorabilia of timeless ageless love is Taj Mahal – a drop of tear rolled down in pristine white marble in the sands of time on the banks of Yamuna, a symphony of love created years ago by a bereaved husband grieving the loss of his beloved wife. History calls them ShaJahan and Mumtaz Mahal, but their story of undying love and passion, affinity and attraction, endearment and attachment for each other started when they were known as Khurram and Arjumand Bano. History tells us Khurram was the son of Jahangir and his Rajput queen Jagat Gossain and Arjumand Bano was the niece of NurJahan – the most esteemed cherished adored and powerful twentieth wife of Jahangir. NurJahan’s influence on her husband was as addictive as opium and she schemed and plotted to get Khurram betrothed to her niece Arjumand Bano. The royal alliance between the Mughal emperor and her family was thus sealed. Arjumand was a beauty beyond anyone’s rational thoughts, she was alluring in the most charming way, and she was prepossessing, sublime and statuesque – a dream, a vision in reality. Khurram was naturally attracted to her and in no time the young couple was madly in love with each other. Years went by, Khurram now ShaJahan and Arjumand now Mumtaz Mahal were the new Mughal emperor and empress after the demise of Jahangir and banishment of NurJahan to Lahore for a lifetime exile. Politics over accession to throne never allowed an easy relationship between father and son and much water passed under the bridge. ShaJahan and Mumtaz Mahal were blissfully happy in their marital life- birth of 14 children more or less proved that. But 14 children? Wasn’t that a too much physical exhaustion and reason of weakness for a woman? Going through that excruciating labor pain 14 times and was no mean feat. Was that how Mumtaz Mahal proved her devotion and love towards her husband? Medical science was depending on luck and homemade potions and women with no medical training to help in giving birth. Mumtaz Mahal gave birth to her 16th child- a baby girl, later known as Gahurara Begum and slept in the arms of death – her demise called upon doomsday in her husband’s life. Mumtaz Mahal expired in Burhanpur and was buried there. She left behind two daughters, 4 sons and an infant girl. It is for a fact that Shah Jahan was deeply moved and shattered after losing his wife, it is said his hair and beard turned snow white overnight. And then he decided to construct the most magnificent mausoleum in memory of his wife, the mother of his children, the woman of his fantasy who still haunted him in his dreams, whose bewitching smile still left him weak in the knees, whose enticing presence he could feel every moment of his life – even when he was in the arms of one of his concubines. His harem was full of women whose beauty was mystical, still the absence of one woman made the presence of others quite insignificant. Shah Jahan was a virile man, however much he loved Mumtaz Mahal, his nights were always illuminated with the fiery beauties of one of his many concubines or women at random his eunuchs fetched for him. It took nearly 22 years to complete the construction of the Taj Mahal and is stood like a divine monument of love which a husband constructed in the loving memory of his wife – it told a tale of a grieving husband. But was that truly love or an ode to love or was that the mighty Mughal Emperor’s wish to remain immortal in the pages of history and in the time to come? After ages Mumtaz Mahal’s body was exhumed from Burhanpur and was re buried in the basement of Taj Mahal. So much for a soul to rest in peace. The architectural marvel that Taj Mahal is has truly made Shah Jahan immortal; most of us do not know the name of the principal architect. With the passage of time the name of Arjumand Bano has been weathered off from the pages of history, and Mumtaz Mahal is only remembered as the empress to whom Taj Mahal was dedicated. But the stories of her husband being besotted with her has turned into legend, sadly the woman is lost in the congregation and coterie of the golden era of her husband’s regime. She only signifies the vanity, desire and eventual fulfillment of immortality of her husband – her untimely death is forgotten and has been adrift from the manuscript of the Mughal history – only Taj Mahal exists in its finest glory declaring the zenith of love of Shah Jahan towards his wife. Vanity and desire of immortality won over an emotion called love. Maybe that’s what life teaches us. Can you lead a planned life all the time?